Semester exams are approaching. 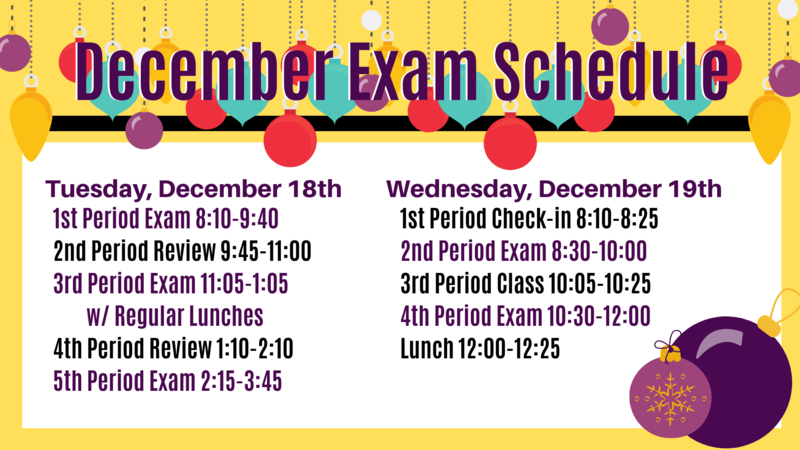 Take a look at when you are testing! Lufkin High School will have early release on December 19th. Students will dismiss and may attend a combined lunch at noon. Buses will run at 12:30.